I love homes in Richmond. The older homes in Richmond, Chesterfield, and Petersburg have so much character and style. Many of the homes we inspect in these areas have chimneys. A defect that is not uncommon to find, is the lack of a cricket. A cricket is basically a small peak behind the chimney (on the high side) that helps divert away water, leaves, and other debris. Without a cricket, foliage can pile up behind the chimney trapping moisture, and causing roof damage and leaks. 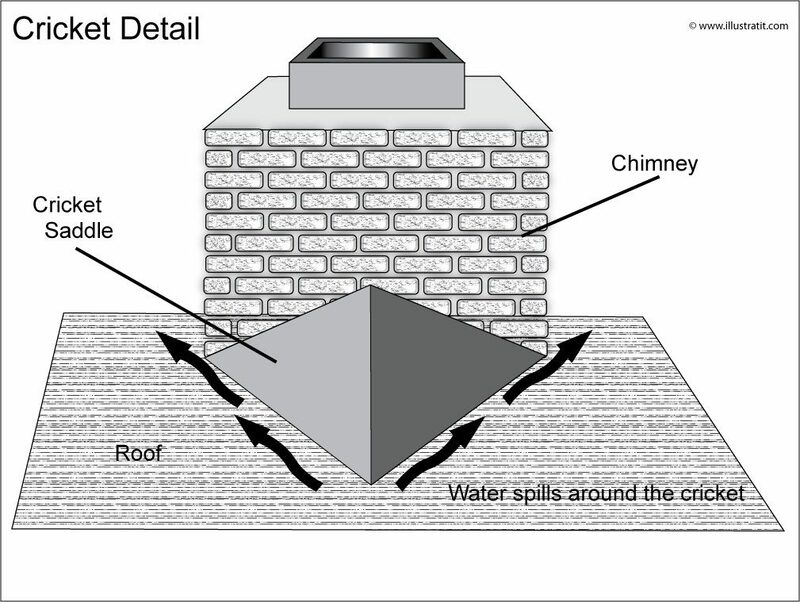 Generally, a cricket is required when the chimney is wider than 30″, but we have seen damage caused from the lack of a cricket on chimneys that are less than 30″. In the photo below you can see new shingles were installed around the chimney. A leak had developed here. Unfortunately the owners wasted their money. Without a cricket on this very wide chimney, another leak is going to occur.